I created this set of tools for my own use and decided that they could be of benefit to others. The tools are designed to remove a lot of the guess work from gearing choices and give you a as accurate an estimate of your wizard's potential in various aspects as possible. -Tool to calculate the APoC and LoH returns of spells and their "spam-ability"
-Tool that calculates changes in DPS, Mit & eHP with stat changes. 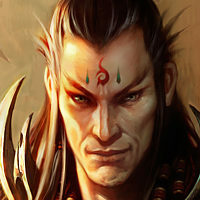 -Tool for calculating damage within a Tal Rasha 6-piece skill rotation. -Tables for all breakpoints (Yes, they still very much exist in RoS). Will definitely check this out when I get home. Quite interested in your findings on meteor and how they'll work with my skill set. It can't be a weak troll if it's not trolling. I won't lose any sleep if you opt not to use it. You're welcome Duma. Let me know if you find it helpful or not. It's going to take me a while to wrap my head around all the details but looks like a pretty useful spreadsheet. I wouldn't think so. Losing sleep over a small joke isn't healthy. The latest version that I uploaded a few minutes ago has a light-gray fill on all the fields where you are actually supposed to modify/enter values of your own. It might make it a bit easier to work with if it seems a bit overwhelming. I've also tried to color code things for various types of related fields for the same reason. Still, something like the eDPS calc tool is just simply a complicated thing just because of all the factors that come into play for the final number - especially if I am trying to include as many factors as possible. Took a fresh look at it this morning and it started making more sense. The color coding helps a lot and the light-gray definitely helps clarify how to use it. I was going to ask a bunch of questions but after messing around with it, I seem to have answered them for myself. I can't imagine how much work you had to put into this but it shows, thank you. So very well done Doly! I'm glad to hear that adding the shaded input cells and color coding has made it a little more self-explanatory. That was the goal. Thanks. I thought you might like this. Nice work. But how certain are you regarding the proc coefficients? 5 - Conflagrate : 0.995 per hit plus 0.995 once for the DoT (not stackable?) wtf? All tested with 400 LoH. And yes, those numbers are weird. I'm glad you approve of the tools. To answer your question: I'm not really sure of the procs for all of the skills yet. That is one of the things that needs further exploration. I have started with the numbers that Tekk reported from the F&F beta for now. I have tested only a few myself but it's not really my strong suit. I have a 920 LoH amulet I've been using so far as I get the chance but it's slow going. Once I get the major functionality of things settled, I can hopefully devote more time to testing of values. Gives an immediate 2 proc rate on hit (~1.99 actually, both LoH and APoC) but nothing else over the DoT. The DoT definitely does have a proc rate though, since it can proc SA like crazy but somewhat inconsistently. I'm currently working calculating it as a proc of 0.2 with a tick rate of 3 for 3s (so 0.2 + 0.2*(0.1*9)=2). It gives me the proper APoC and LoH numbers but allows for an SA calculation that works as well. Proc of 0.8. Can only proc LoH on the initial hit. APoC procs over the dot as well though. A tick coefficient of 3 (so 3*aps) plus 1 for intial hit seems to give me the best fit for the APoC returns I see with it at both 30 APoC@2APS w/70Cc and 20 APoC@1.36APS w/ 69CC. No other formula I've considered seems to work for both cases. Basically, I'm puzzling things out and working backwards on some of the mechanics to explain what I see happening in game. I was really you might be one of the people who read and responded to this thread. If you have testing numbers, please pass them all along. The good news is that I have set up the spreadsheet so that it's pretty easy to adjust it all by changing a single value in the Skill Info sheet (it's like a master variable list). I tried to plan ahead for future changes in numbers so they are more than welcome if anyone has updated info. Are you certain that was over a full 8 ticks for the cast? Maybe a dumb question, but I just want to be sure before I replace the existing value I have in place. LL can be tricky because of it's variance tick hits per target. Doly, I'm sure everyone appreciates the hard work and effort you put into this tool, so thank you. Tools like this are extremely helpful as well as discussion threads. You were nominated as one of the top theorycrafters in Jaetch's awards. There's a reason I started calling you "the Professor" and hush the noise in the channel with "Listen to Doly!" Oh okay. I was just confused because of the differences. Those two above are literally the only ones I have tested. I didn't want to put that much effort into it at this point. Numbers are likely to change and even if they don't... I still have to check every patch, because they might have. And people don't seem to be as interested in proc coefficients as they were when CM was still around. Yes I thought that was weird. I haven't done any testing with SA or APoC. What's interesting is that if you cast on a target that already has the DoT, you don't get any extra LoH besides the "impact" for 0.99 or whatever it is. So somehow the DoT has stacking damage (right? ), non stacking LoH and crazy APoC/SA. This will definitely require further testing. Ugh... This and what you report about MM - Conflagrate reminds me of how Deep Cuts works on live. One initial LoH proc and high frequency SA/CM procs during the duration of the DoT. So seems like Blizzard decided to expand that really crappy idea of different mechanics for different kinds of procs. No that was one single hit/tick on one monster. That's my thought as well. For that reason, I've focused mostly on getting the tools working with previously tested values for now. The exceptions are previously unavailable skills with unknown tick/skill mechanics (like Conflagrate and Scorch). The good news seems to be that it sounds like you intend to keep maintaining a proc coefficient list in the future. I will be sure to reference it when the time comes to make sure I have the right values for the live product. That's somewhat understandable but it's a mistake to stop considering them from here on out. They're still critical for APoC, LoH and SA. Yes I thought that was weird. I haven't done any testing with SA or APoC. What's interesting is that if you cast on a target that already has the DoT, you don't get any extra LoH besides the "impact" for 0.99 or whatever it is.So somehow the DoT has stacking damage (right? ), non stacking LoH and crazy APoC/SA. This will definitely require further testing. No, I hadn't noticed the non-stacking LoH thing before. Yuck. I'm fully in agreement with that "Ugh". It makes things so much more difficult to figure out. A consistent system would be so much cleaner and simple. I forgot to mention that the DoT on Scorch cannot proc SA at all. Sorry, that's what I meant. I assumed you tested with a total sum of ticks on monster and divided by tick number (hence the 8 question). Still, I'm glad they raised it, even if it's marginal. I'm really surprised by the increases on some of the other runes. I did not expect those to change.